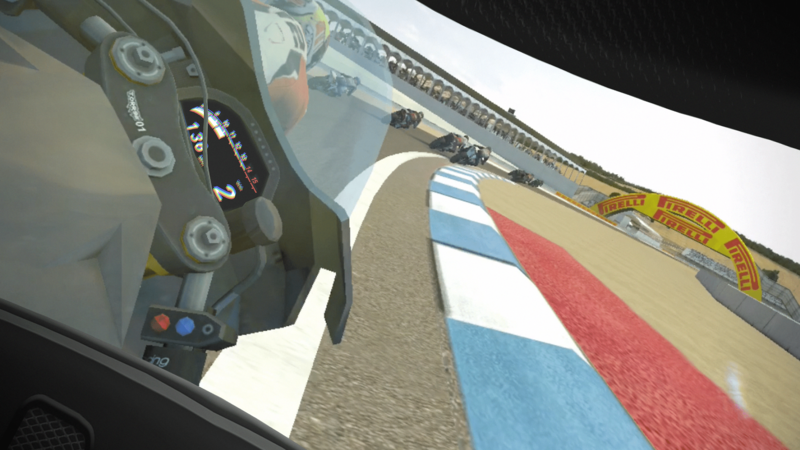 Experience motorbike racing like never before: step into the race and become the new Superbike World Champion! Following 3 instalments on iOS, Android and Windows Phone, 30 million downloads worldwide and a Drago d’Oro award for Best Tech, SBK Official Mobile Game lands on Samsung Gear VR and Daydream to offer a far more immersive and adrenaline-fueled gaming experience thanks to Virtual Reality. Experience first-hand the thrill of speeding through the most challenging race tracks in the world at 200 km/h, while handling a 200 HP beast: Aprilia, Kawasaki, Honda, Ducati, MV Agusta, BMW or Yamaha… the choice is yours! Compete against Jonathan Rea and other real riders from the 2016 Motul FIM Superbike World Championship: watch them speed by and turn back to check who’s tailing you, ready to exploit any opportunity. Founded in 2006 and based in Milan, with offices in Rome and Miami, Digital Tales develops games, e-Learning platforms and multimedia communication tools with a strong graphic appeal. In recent years Digital Tales self-published two successful mobile games, “Ducati Challenge” and “Battleloot Adventure”, which topped iOS and Android charts worldwide with over 3 million and 2 million downloads respectively. Digital Tales’ latest action-RPG, “Bravura: Quest Rush”, was selected among the best games by Game Connection Asia 2013. The studio’s latest racing game, “SBK14 Official Mobile Game”, passed 3 million downloads in 3 months’ time.